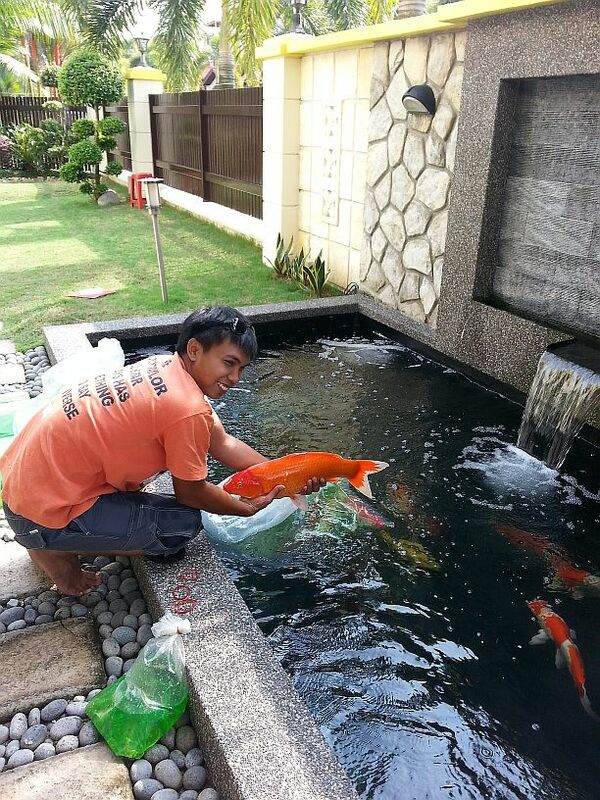 Over time due to various reasons your koi pond might spring a leak and you find water level dropping. 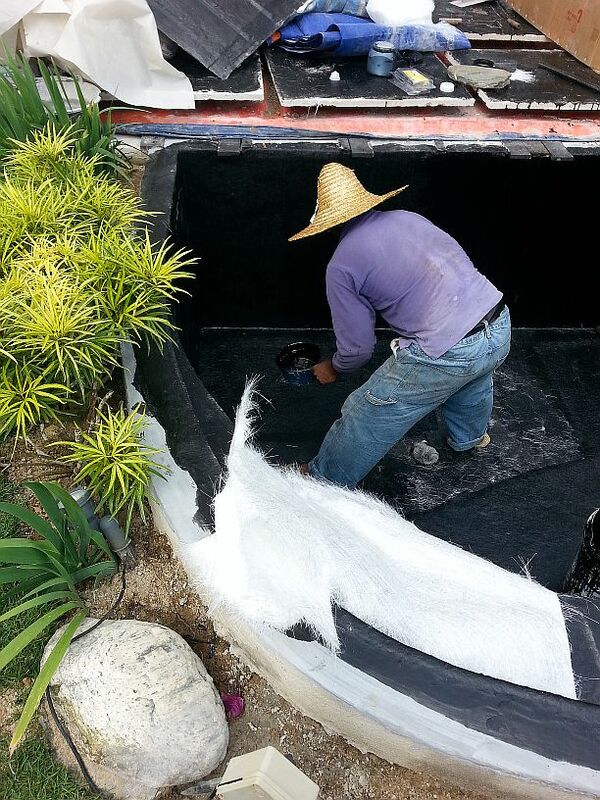 Slight water reduction due to evaporation is normal for a koi pond. 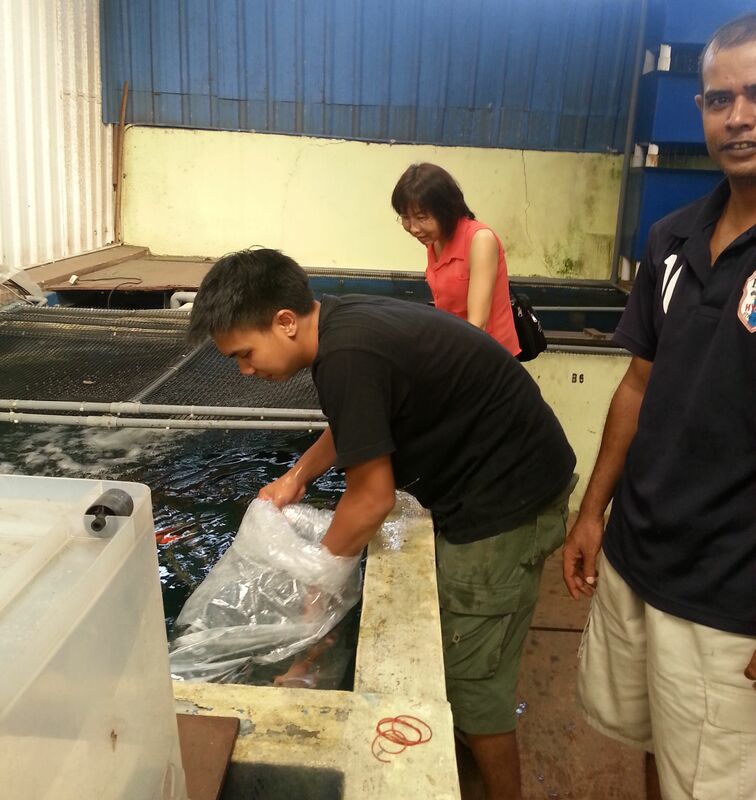 Reduction of 5 to 10 mm water level in a week is normal. If you observe 10 to 20 mm drop in water level within one day then it is a clear indication of a leak somewhere. Before we proceed to do anything to your pond we have to first establish the source of leak. Several visits might be necessary before we are able to pin point the source. Most of the time leaks come from waterfalls. 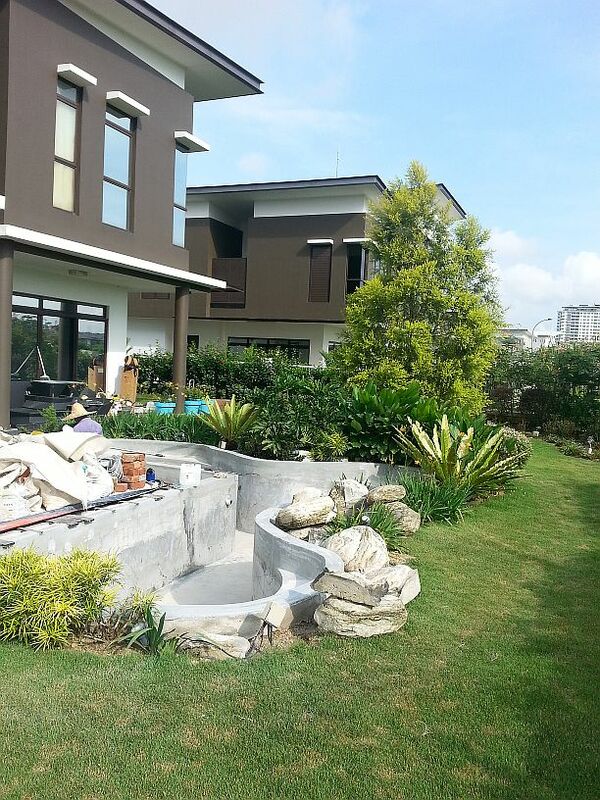 This is because it is common to have some plants and shrubs around the waterfall to enhance the beauty of the pond surrounding. Over time when these plants and shrubs grow their roots could cause the concrete structure to shift and cracked the fiberglass resulting in a leak. Fiberglassing work is a delicate task and sunny weather is important. 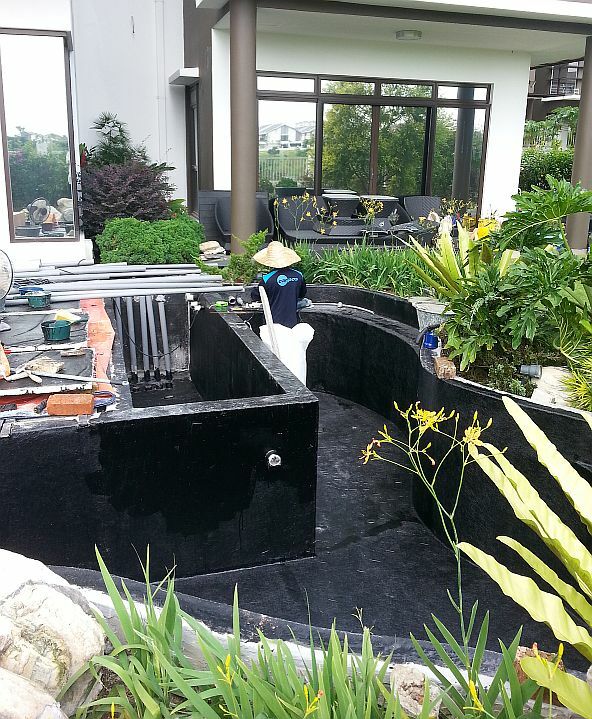 Your koi will have to be relocated (Koi Hotel) for the duration of the filberglassing work and also the time needed to prepare water for your koi to return. It is usual for such a repair job including water preparation activities to take between 2 to 4 weeks.